When the Wall Street reform came, millions of Americans were happy. They saw it as the big CEO’s from the big corporations finally being taken down a peg. But few anticipated the impact that banks would feel. Many did not realize that if the way finances were conducted in America were altered that the banks, which depend so highly on the interchange of money, would be hurt. Banks have already had to change the way they do business to make up for losses. The news of debit card limits on how much you can spend per transaction was not well accepted. Then the news of increasing ATM fees made some Americans question how to go about balancing their ratio of how much money to put in the bank and how much to hold onto in cash so as not to have to deal with the much higher fees. Now, Americans are seeing another aspect of their banking take a hit as debit card reward programs are soon going to be a thing of the past. Wells Fargo announced on Friday that it would be ending the programs. They said that at Wachovia, beginning March 27th, no new customers would be eligible for the programs. At Wells Fargo banks, April 15th is the date when new members are no longer able to sign up for debit card reward programs. 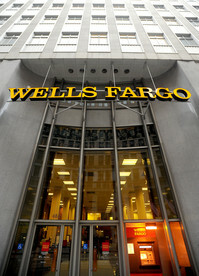 Wells Fargo announced on Friday that current Wells Fargo members could still be a part of the program. JPMorgan Chase was the first to say that no new members could sign up for the reward programs, which they did back in February. Now they are telling current members that come July 19th, no one will be receiving the rewards as the programs are going to completely go away. SunTrust told their members that as of April 15th, no more reward points could be earned. They also told members that the points that they do have must be used by January 1st, 2012. Currently, Americans get reward points for using their debit cards on certain purchases ranging from gas and groceries to bills and online billpay. Americans also get points for having high amounts of money in the bank. Now those few perks are gone. People will no longer be able to use their points to exchange for money or other things such as gift cards. While not nearly as big of a problem as the potential debit card transaction limit, taking away the reward programs is something that Americans are not happy to hear about.